Note: This post has had a lot of great discussion since it was published last year, and I truly appreciate all of the feedback. However, I realize that email subscription services are constantly rolling out enhancements and updates to their systems. For that reason, in order to keep this information fresh and relevant for my readers, I will need to revisit each of these services and “re-review” them as time permits. In addition, some of our readers have left comments about other services that are not reviewed here such as Mad Mimi and CampaignMonitor, which may be great solutions for your business. I want to make sure the information posted here is accurate and helpful to you. So please take time to do a little research of your own to make sure you are getting the best service for your business. Maybe some of the issues I encountered are non-issues by now. W hether you’re a newbie or a veteran to internet marketing, choosing an email subscription plan can be overwhelming and confusing. And if you’re a small business owner who wears many (if not all the hats), you want to find a reliable service that is easy to learn and won’t break the bank. Maybe you are wondering why you even need an e-mail subscription service. Or why you need an e-mail sign-up form on your website. Why? Because each subscriber has shown an interest in your brand and wants to hear from you in the future. So in addition to providing valuable information, tips, and advice to your subscribers, you’ll also be able to start promoting some of your services and/or products. 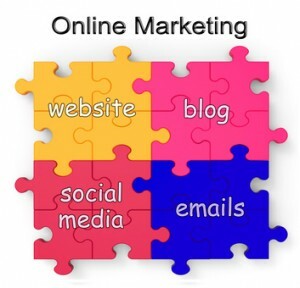 If you have a website or a blog, your goal is to reach potential customers. The way to attract people to your website is by promoting your business through your content marketing efforts. And once you attract someone to your site, you’ll want to do something that makes them remember your brand and come back. Content drives inbound traffic. More traffic means more leads. So you might offer a visitor something free like an eBook or white paper in exchange for their sign-up to your email list. So you see that you don’t want to just give away your freebie without finding out who showed the interest. That’s why you ask them to sign up to your mailing list first. Once done, they will have access to your freebie. And you’re on your way to building your list. We’ll take a look at the similarities between the services first. Then we’ll review the differences and why I moved on. I’m not going into price comparisons here. Rather, you can click on the links I’ve provided above to get pricing plans for each of the respective services. You have the option, too, of test driving each service for the first month. I highly recommend you do so. Each service I tried had an extensive tutorial library with short, helpful how-to videos. And each of these services is a permission-based service, which means a new subscriber must agree to being added to your list. This is accomplished through a confirmation email a new subscriber receives. A word of caution: You cannot just add people to your email list without their permission. There are mechanisms in place that protect subscribers from receiving unwanted spam. And if you add whoever you want to your list, that’s considered spamming, my friend. So please don’t do it! You will get caught and banned from using permission-based services if you spam. I found customer support to be equally helpful with all three services. Whether I chose live chat or telephone support, I always got my questions answered immediately. I want to add my own little disclaimer here: there is definitely a learning curve when setting up any type of email subscription service especially if you use an autoresponder. You need to be patient with yourself and set aside a good chunk of non-interrupted time when you first get started. That being said, let’s move on and compare services! The remainder of this post will focus on my experience with each of these subscription services and why I switched. AWeber was my first email subscription service because it was widely recommended by many internet marketers I knew and trusted. I signed up for the $1 one-month trial. After that, I opted for the quarterly payment plan. I liked the fact that AWeber could take my RSS blog feed and automatically push out the most recent two posts as a blog newsletter. Quite a time-saver when it’s time to get that next newsletter out! The interface was fairly easy to use, but because this was my first experience with an email subscription, it took me awhile to get through setting everything up. AWeber also holds regularly scheduled webinars to help newbies get a handle on how to get started. Quarterly plan makes it more affordable than Constant Contact month-to-month. At the time of my subscription, images had to be hosted on my server, which was a pain. Now you can store your images in a library with your AWeber account. This makes image uploads much easier to manage. Sometimes the service would go down or be unavailable on the weekends, which was when I typically wrote my newsletters. Very inconvenient. Some sort of glitch would put garbage characters in my text. Almost always. So I had to be vigilant about finding and deleting such text. I started having intermittent delivery issues, but I think that is a problem with most of these types of services. The biggest issue was when my AWeber e-mail signup form began throwing mixed content warnings from my SSL website. AWeber did not have a solution to help eliminate this warning, so I jumped ship to Constant Contact, who did. Update 6/5/2014: I received a comment on another blog post from an AWeber employee who said that AWeber now supports SSL. This was great news to get, and I appreciate that he took the time to let me know. Constant Contact was my second choice. When I contacted pre-sales support about my SSL dilemma, they were very helpful and assured me that by embedding their email link on my site I would be able to keep a secure connection and not confuse visitors with the mixed content warning. It worked as they promised. Constant Contact set up a customized e-mail template as part of a promotion. The interface was very intuitive and the easiest to use. The email link worked seamlessly under an SSL environment. I found email delivery to be the quickest for both test and live emails. The Simple Share tool allowed me to publish my newsletter to any social platform I chose. You can only upload 5 images to the image library for free. After that you have to upgrade. In order to build a custom form, you need to purchase a subscription to Formstack, a partner service of Constant Contact. I decided not to renew with Constant Contact and to give MailChimp a try. Ultimately, MailChimp was the most economical choice for my business. That being said, I also found it a little more difficult to learn. MailChimp provided the best value for me. MailChimp has free image hosting with no limits at all. You can upload images as large as 10MB, but they recommend a 1MB max so that it delivers easily to a recipient’s inbox. It’s free up to 2,000 subscribers. And it does take awhile to build a list of 2,000 subscribers. It’s very scalable as your business grows because of the “pay-as-you-go” plan which charges just pennies per email. So you’re not locked into a monthly fee, which gets expensive when you’re first starting out. For me MailChimp had the steepest learning curve. But we all learn differently so it may be a breeze for you! You have to upgrade your account if you want an autoresponder. And let’s face it, you probably will. You’ll want to thank your new subscribers and send them a link to your free download. One final note about MailChimp: one of my clients heard that you could not include affiliate links in MailChimp emails. That, however, is just a rumor. As long as that affiliate link is not blacklisted, you can include it. And that’s just common sense and an ethical business practice for any email subscription service you use. If you’ve read this far, you probably want a recommendation, right? 🙂 Remember, this is a high-level review based on personal experience with each service. You’ll want to dig deeper into the features each service has to offer and make sure you get exactly what you need. That being said I think MailChimp is the best choice for a small business just getting started with email marketing. The price is right and so far I’ve been very happy with it. Are you using permission-based email services? If so, what other services would you recommend? the experienced user, and they for instance say that ConstantContact (http://conta.cc/1ej4QUE) provides the best dedicated support for the newbies but having real urgent email marketing needs. Hi and thank you for your comment! Dedicated customer support (especially for newbies) is extremely important as well as ease of use and tools available to get the job done. I appreciate you taking time to leave your feedback. HI! Was it easy to move your subscriber list? I have build a permission list but not with a software. Will people need to re-approve? Thanks! Hi, thanks for your question. You can easily import your list into MailChimp. Since people have already given you permission to send them email, they will not need to re-approve. Best of luck! Thanks for your input, Danial! Looks like there are lots of good alternatives out there for businesses. Thanks for sharing your findings, Joseph. At present, Tigerbuz basic subscription service offers a 14-day free trial at $9.90/mo up to 2,000 subscribers. Haven’t tried it, but it’s good to know that all of your emails get delivered to your subscribers and not marked as spam. Constant Contact can be a pain if you use paper to sign people up (like from a training or presentation). Sometimes they want to review your list and will put a hold on your account which is really frustrating until you can prove how you got the email addresses. They might be okay at first, but their policies can be hard to deal with once you start to grow. unlimited autoresponders with unlimited follow up messages. Thank you Michelle. Great review. Makes sense you’re from the Mitten. Very helpful. Glad to help, Peter! Assuming you’re from the Mitten, too 🙂 Thanks for your feedback! Great review… did you have an opportunity to review CampaignMonitor? I’ve been using them on an as-needed basis, but now the volume of emails and addressees is making me consider a monthly plan. I don’t know whether to switch to their monthly plan … or to MailChimp. Your thoughts? Hi Tom, thanks for your feedback! I have not tried CampaignMonitor yet, so I can’t really offer you much advice on whether to switch to MailChimp. If you’re looking for a more affordable solution and MailChimp has the same features you need to run your email campaigns, it might be worth making the switch. But it totally depends on your business objectives. There is a time commitment with importing your current list and setting up your campaigns. Plus there’s always a learning curve when choosing a new service. I wish you the best! Thanks for your comment, Angel. I totally agree about affordability and good customer service. I hope you are happy with your decision, and that you find it suits the needs of your various niches. Best of luck! This was incredibly helpful. I’m wondering about transferring email addresses between services. I like the idea of building a list with mailchimp but really want an auto responder service like Aweber (which I’ve heard is great for writers). What can you tell me about that process? Are they easy to transfer? Thank you so much for making life simpler so I can focus on doing what I do! Thanks for the Blog post, Michelle; very informative. You’re very welcome! Thanks so much for your feedback! Wow, fantastic advice and I totally agree. Sorry for all your trouble, but we can all learn from it. Every business is unique and there is no one-size-fits-all solution. Thank you for sharing your experience and excellent insights! I am considering using one of these services (have been looking at both CC and MC) but have been concerned about the privacy of my list. I currently have 400+ names I send to once a week regarding a concert series, and as I have collected people’s addresses I have given my commitment to them that I will never sell nor share my list. Understanding that I must upload my list to the service’s server, how secure is it? Any concerns there? Thanks much. Thanks so much for your quick reply, Michelle! Those links are very helpful. Since I posted my question I’ve been looking at another service called MadMimi. Do you know anything about them? They appear to be small but growing. Thanks! You’re welcome, Steve! I have not heard about MadMimi, but now, of course, I’ll have to go research it! Great review Michelle. In my past work place we used Constant Contact and it was an easy program to learn. Now in my own business venture I am looking at using MailChimp for my newsletters. Your insight in all three was greatly appreciated. Mike, I agree Constant Contact is easy to learn. I’m glad you found this post helpful in your decision-making process. Good luck with your business venture, and I think you’ll find MailChimp to be a good value. Thank you for taking time to leave a comment! Michelle thank you for the informative post. With the helpful advice your article shares, I for one would have no problem supporting your efforts through an affiliate link. Cheers! Great read Michelle,thank you. I’ve recently started with Aweber, and find it quit hard to figure out. Like now I’ve updated a little content of the Follow Up email, which was meant to be sent after you sign up & it actually sent updated version to people who have been on the list already. It’s a pain to figure it out. Wonder if MailChips is easier. Thanks for your comment, Anna. There truly is a learning curve with any of these types of services. Personally, I don’t think MailChimp is any easier to learn than AWeber. Of the three, Constant Contact was the easiest to use, but also the most expensive. Give yourself some time to learn AWeber. Sometimes it’s helpful to create a test campaign until you feel comfortable going live with a real campaign. Just a thought! 🙂 That’s what I’ve done in the past when signing up with a new service. Good luck! Hi Alejandra, learning Spanish is on my to-do-list. You’ve published a nice infographic; would like to see it translated into English if possible 🙂 I especially like the breakout of email service providers in the first panel for small biz to enterprise. Very interesting. I’ll let you know if we translate it to english, Michelle! Your reviews of Aweber and Constant Contact discussed uploading images but your review of Mailchimp doesn’t mention images at all. What is the Mailchimp policy for uploading images? issues with images on MailChimp, so I’ll revise my post to state that! editing capabilities as you’re building your campaign. Hope this helps! Hi Michelle. Thank you for your detailed review. What seems to be eluding me as I do my research is downloading products on MailChimp. Can MailChimp be triggered to download a product based on a purchase or free offer link on your website or Facebook? I just can’t seem to nail down an answer on this. Hi RuthEsther, thanks for your comment! If I understand your question correctly, you could set up a MailChimp autoresponder that gets triggered whenever someone signs up to your list. The autoresponder would send a follow-up email that would (for example) thank someone for signing up and it would include a link to your free offer or download. I hope this helps. That is helpful Michelle thank-you. Awesome review… thanks so much. I am ready to start putting out a newsletter and have been looking at different options. Have red reviews about all three you reviewed, but your was more informative and down to earth. Thanks again, I’m going to start my free review with Mail Chimp!! So glad you found the post helpful, David. I really appreciate you taking time to leave a comment to let me know! Good luck getting started with your newsletter and with MailChimp! Thanks for the review! I’m a church secretary, and we’ve used Constant Contact for years. But recently, I’ve been having major server issues with them while trying to build an email, and am seriously considering Mail Chimp. You are welcome; thanks for taking time to leave a comment. I really liked Constant Contact for ease of use, but I’ve been very happy with Mail Chimp since I switched. I hope you are able to find a solution that works well for your church! Thank you so much for this review, Michelle. I’m in research mode, trying to figure out which option is best for my situations (2 hobby blogs and a business blog). Thanks again! You’re welcome, Erika! Thank you for taking time to leave a comment! Whatever you decide, it’s really helpful to take a “test drive” with a free trial. You’ll be able to tell a lot more whether a particular service will be suitable for your particular situation. Good luck! What a fantastic review, Michelle! Over the last year, I have been reviewing all three, but never actually used AWeber for my business, although I have used it for clients. Many of our clients love that MailChimp is free up to 2,000 subscribers, but as you pointed out, the autoresponder is a very attractive feature in the paid version. Thank you for such a thorough and comprehensive review! Thanks so much for your comment, Robin! It was an interesting journey and I’m glad I had the opportunity to actually try all three services. People always ask which service is the best, so I thought it might be helpful to share my experience. Thanks for your kind words! Excellent comparison information, Michelle. It is confusing understanding the Pros and Cons of each service, your article really gives us a good idea of what to expect from each service and the cost involved. Thank you! I’m so glad you found the post helpful, Nancy! There are so many great features in all 3 services, but ultimately, I had to make a decision that was economical and scalable for my situation. Thank you for your comment!